Fatherhood is a most awesome adventure. In the 364 days that are NOT Father’s Day, dads do so much for their families besides mowing lawns. Dads are excellent support to infant-nurturing mommies, and pretty good diaper changers in their own right. In winter, dads let their jackets double as blankets for little ones. In summer, they lead us to beach vacations full of barbeque. In the spring they cheer us to athletic success, and in the fall, they move us into school dorms. They are coaches, chauffeurs, explainers of things, spellers of words, and openers of jelly jars. So on this one day dedicated to the men who work and sacrifice to build for the futures of their loved ones, show him some love with a gift that resonates with his unique interests. Listed here is a small collection of gift ideas that are sure to please many different varieties of dads. From the techie dad, to the diy home repair dad, these Father’s Day gift ideas are a great way to let the dad in your life know that you appreciate all that he does for the family the rest of the year. Disclaimer: The author of this article is a dad who would greatly appreciate receiving any of these gifts for Father’s Day, and will be forwarding this list to his own family. 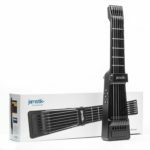 Whether dad is an aspiring musician or a full-fledged composer and performer, the Jamstik+ Portable MIDI Electric Guitar is an ideal gift. Dad can use the free apps for tablet and phone to learn to play, to compose new tracks, or play along with recorded loops. The Jamstik+ is a MIDI device, so it can be used to play any one of a multitude of sounds like piano or horns. For the techie dad who has all of the gear he needs, here is some gear he’ll want. 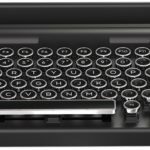 The Qwerkywriter S is a computer and tablet keyboard modeled after an old fashioned mechanical typewriter. Your dad will love the beautiful design and antique aesthetic. The Qwerkywriter is not just a nice looking piece of tech, though. It combines design and functionality giving you a host of advanced features that will make anyone more productive at the helm of their PC or Mac. It has an integrated tablet stand, dual scroll knobs, and a programmable return bar! If dad commutes to work, like many of us do, you can add a bit of surfer style to his daily motion. 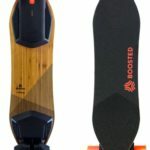 The Boosted Electric Skateboard will sweep him off his feet and on to his destination. Great for weekday work transportation and weekend jaunts through the park or to the convenience store, this electric skateboard includes a wireless bluetooth-enabled controller and boasts a 12-mile range with the extended battery. If the dad in your life likes to see stuff when it’s dark, he’ll probably like the Striker Light Mine. 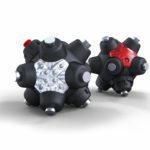 The light mine is not just an LED light with both white and red illumination options, it also is designed with protrusions all around that allow it to stand on its own at multiple angles. And if the ability to stand on its own weren’t enough, the Striker Light mine has eleven rare earth magnets so that it can be attached to metallic surfaces to shed light where you need it, hands free. Does Dad have a super manly beard? If so, you can’t allow him to walk around town doing all of his dadly things without a well groomed beard. A dad’s well kept beard can be a point of pride equivalent to the pride of a well manicured lawn. Give your dad that same pride with the gift of the Heavenly Beard Co. Premium Beard Grooming Kit. 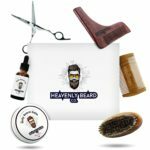 Heavenly Beard Co. has put together a luxurious kit including fragrant sandalwood beard comb and shaping tool. The sandalwood allows the comb and shaping tool to collect and better distribute grooming oils and balms. This kit also includes a natural boar bristle brush, trimming scissors, and bay rum beard balm. Chefs whether real or self-imagined like cooking techniques with French names. Sous vide is a cooking technique that involves sealing food into plastic bag and submerging it in a hot water bath. You may have seen sous vide egg bites at your favorite name brand coffee shop. Sous vide is not only good for eggs, but can also produce beautiful steaks without needing to hover over the stove or grill. The ChefSteps Joule Sous Vide adds even more to the cooking experience by providing control of your device from your smartphone via WiFi or Bluetooth. The ChefSteps app allows dad to control the Joule as well as providing cooking guides and ideas. All in all it is a unique and exciting piece of kitchen technology. 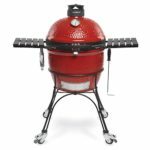 If your Cooking Dad prefers to use his culinary skills in the backyard, take a look at the Kamado Joe Classic II Charcoal Grill. Kamado is a type of cooking using a ceramic vessel that is heated using a wood or charcoal fire before the food is added. Kamado devices like this or the Big Green Egg can be used for grilling, smoking, or even as a pizza oven. The Kamado Joe Classic II is considered one of the highest quality consumer-available Kamado grills along side the Big Green Egg. It also has valuable design features like a double-thick gasket that offers exceptional sealing of the cooking chamber and extended product life. Ok. So Dad likes to cook out. Way out. Beyond the backyard and into the backwoods. 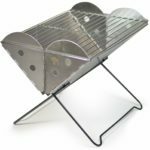 In that case, perhaps you should consider the much smaller, and lighter UCO Flatpack Portable Grill and Fire Pit. These handy little numbers are designed to work with both wood and charcoal. They have a grate that allows dad to cook hot dogs and his famous burgers, and they also act as a convenient and contained fire pit. They are constructed of stainless steel so that they last a long time and are easy to clean. The Flatpack also comes with its own carrying case. Now that you’re in the backwoods with your cooking gear, dad may want to show off his vast knowledge of how to survive in the wild with nothing but a Flatpack, a knife, and this book. Bushcraft 101 was written by one of the most well-known names in the survival community Dave Canterbury. This book is an ideal gift not only because it offers extensive knowledge on thriving, not just surviving, in the wild, but it also provides an opportunity for dad to teach these skills to little ones. 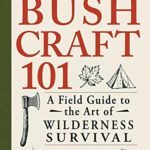 Bushcraft 101 is also available on Kindle so dad can have it with him wherever he takes is smartphone. Bushcraft knowledge is great for planned outings into the wild, but you don’t always know what event will prompt the family needing to bug out or even shelter in place without some of our modern conveniences. In cases like this, any dad would be happy to have a totable survival bag to support the family. This emergency bag contains not only tools for comfort such as emergency blankets and flashlights, but even contains food and water to sustain a family of four for the initial 72 hours of an emergency. 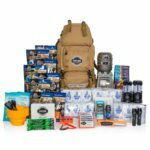 The value in having a survival kit is not only the items it contains, it’s the peace of mind that comes from having more insurance that your family can survive an emergency than without it. 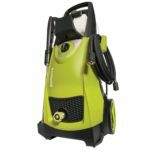 Dads know that any tough job can be made easier with the proper tools, and there are many tough jobs that can be made easier with the Sun Joe 2030 PSI Electric Pressure Washer. Make an old weathered fence look new. Clean years worth of staining from sidewalks and driveways. Don’t paint the siding on your house, pressure wash it! When dad is done fixing things in the dark, cooking in the wild, or saving everyone in an emergency, he deserves some down time in a nice comfy place. 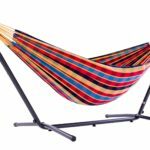 The Vivere Hammock has enough room and weight capacity for dad to snuggle with a little one or spend some couple time with mom. Whether the dad in your life is a musician, a cook, or just a guy with a great beard, any one of these items is sure to bring him joy all year long.